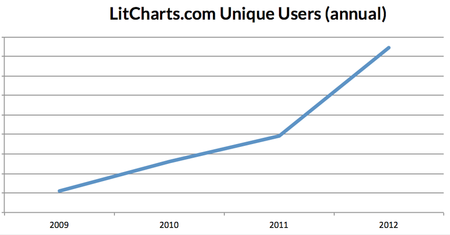 We’re Ben and Justin, the founders of LitCharts and the original editors of SparkNotes. Working on SparkNotes in the early days of the dot com boom was a blast. We were part of a small group of 22-year-old Harvard grads on a mission to take out CliffsNotes, the behemoth whose little yellow-and-black books dominated the literature guide market for decades. In some ways SparkNotes was a classic dot com cliché: it started in a dorm room and sold for millions (twice) before its second birthday. 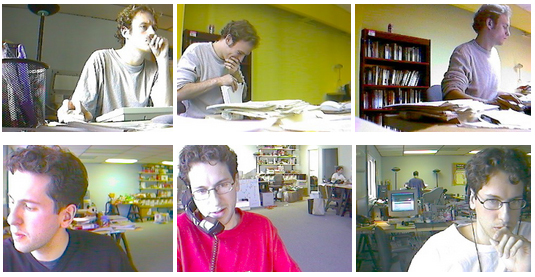 We had desks made from cheap Home Depot doors and sawhorses, played video games during work breaks, and set up webcams (called “SparkCams”) to broadcast live feeds of each of us at our desks as we worked. SparkNotes was basically a CliffsNotes clone but with two key twists: they were written by Harvard students and recent graduates, and they were free online. Those twists made all the difference though, and when the dot com boom turned into the dot com crash in early 2000, SparkNotes had millions of devoted users, and emerged unscathed. We joined up with Barnes & Noble, became 23-year-old book publishers overnight, and built a print publishing operation to complement the SparkNotes website (which was now serving over 1 billion pageviews per year). At “Spark Publishing” we developed hundreds of titles across half a dozen series, including spinoffs like the wildly popular No Fear Shakespeare. We co-wrote a book on the SAT, started another series called Quamut (how-to charts for grownups) and then in 2009 we sailed off to try new things, all related to education and technology. All together, the stuff we made at SparkNotes and Quamut now has over 20 million copies in print and tens of millions of users online. So... why are we obsessing about literature guides again almost 15 years later? Because, nobody (including us) has ever really tried to improve on the approach to explaining literature that Cliff Hillegass (the CliffsNotes guy) devised in his Nebraska basement in the summer of 1958. 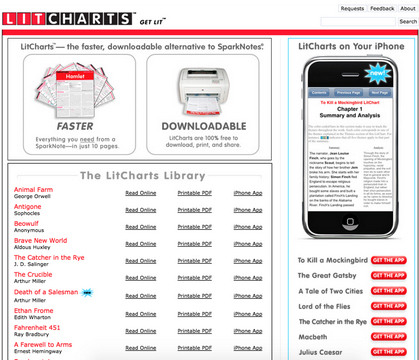 In 2008, we set out to change that and began what has become an ongoing experiment: we developed a prototype LitChart, created a few dozen more, and threw together a functional though not that aesthetically pleasing website. 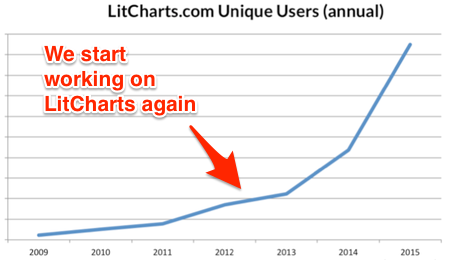 We had thought LitCharts would be just a side project to scratch a lingering itch, but with so much support from students and teachers all over the world, it’s become a passion and a business. To read more about LitCharts, check out our page on Why LitCharts Are the Best Literature Guides on Earth. And if you’re already a LitCharts user and have feedback for us, we'd love to hear from you by email, or on Twitter or Facebook.